We will always strive to solve any issues you may have. Made in U.A.E. Base Notes: Patchouli, Amber, Musk. Middle Notes: Jasmine, Lily of the Valley, Woody. Top Notes: Elemi, Lemon, Bergamot. Your hard work, your pain, your dedication and attitude are all encompassed beautifully in the rugged fragrance of L’Aventure. White Musk - Thick oil. Musk Al-Tahara. Around 100 ml = 100 grams. with a good price, search for. or 292841925400. item number: 302982376993. ابيض مسك الجسم. (Type: Eau de ToiletteIntense. from Batch to Batch. due to the fact that it is not uncommon for the manufacturer to change. 3) note that product images and even scents may slightly differ than the actual product received. Armaf Derby Club House Blanche 100ml ! Another Gem From Armaf !!! Base consists of galbanum, musk and sandalwood. Blackcurrant, Green Tea. "ISO E SUPER" 50ml 1.7fl. (high quality glass bottle). 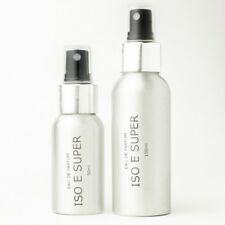 ‘ISO E SUPER’ is aroma chemical which on its own is less of an aroma than an effect. More importantly, she or he will notice the impact it has on other people. 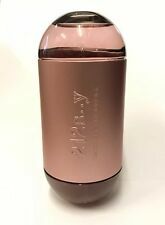 It is a very strong 100%synthetic pheromone essence with a natural musky scent of pheromone. 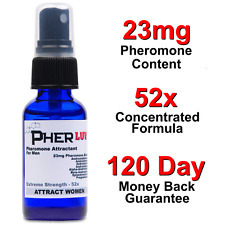 Highly concentrated pheromone essence ANDROSTENONE sexual attractant which transmits an aggressive sexuality. "AMBROXAN" 100ml 3.4 fl. (high quality glass bottle). "A SUPERB VERY HIGH QUALITY PRODUCT. Just as described! "Спасибо за быструю доставку и прекрасное качество!". For an ultimate temptation. Keep out of reach of children. We will always help you to have a 100% positive happy buying experience. For external use only. "Oud Orchid". Oud 24 is very simmilar to the famous designer scent Long lasting oil based fragrance. Any claims after 24 hours will be dismissed for a claim. Convenient for travelling, fits nicely in your pocket or handbag. The top note of lily evokes a tropical seaside location, whilst the heart notes of White Gardenia, Muguet and Jasmine bring a trio of white flowers into play. Amber Wood underscores this light and capricious bouquet. Jovan Black Musk Eau De Cologne 90ml Spray - For Him. The differences are the amount or the concentration of oils that are in the scents. The higher the concentration of oils, the longer your scent will last, and the less you should need to apply. Here is iconicLOST CHERRY formTOM FORD. You are buying10ml LOST CHERRY. Every picture is carefully selected for you and describes exactly the item you are buying excluding the big glass bottles that are for reference purpose only. (Due to the fact that it is not uncommon for the manufacturer to change. Type: Eau De Toilette. 3) note that product images and even scents may slightly differ than the actual product received. Love isolation and loneliness These are the symptoms of jinn the lover. The black musk burns the jinn. Wear transparent sleepwear. 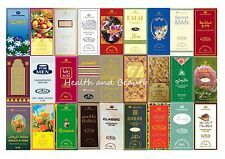 - Long lasting natural fragrance. - Strong deep rich musky & woody fragrance. Rochas Macassar is classified as Woody Spicy fragrance. Scent notes of Macassar Rochas include top notes of citrus bergamia, fruits, artemisia, foliage, pine, middle notes of carnation, geranium, jasmine, cedar wood, patchouli, vetiver and base notes of amber, leather, musk, coconut, oak moss. Eau De Toilette (EDT): It is lighter than EDP, with a 4-8% concentration of the essence. It usually lasts for 2 to 4 hours. I fill to an exact amount. Premium Travel size glass bottle box. It usually lasts for 2 hours. Rihanna Reb'l Fleur Eau de Parfum 100ml Spray - For Her. The differences are the amount or the concentration of oils that are in the scents. The higher the concentration of oils, the longer your scent will last, and the less you should need to apply. (35-40 g each cube). Manufacturer: Mabkharat Al Khaleej In Saudi Arabia. High Quality, 100% Natural & Free Alcohol. Other EU countries 27USD. France, Ireland, Austra, Poland 22USD. Belgium, Estonia, Latvia, Lithuania, Netherlands, Germany, UK 18USD. • Size: 50ml. • Addiction turns the table on the battle of the sexes. We are based in Manchester. We are based in Manchester since 2014. • A warm and sensual fragrance blending beautiful freshness of mandarin. 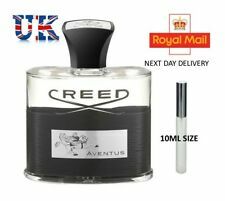 Top notes are iris, lemon and lemon verbena; middle note is violet leaf; base notes are sandalwood, ambergris, cedar and leather. We will always strive to solve any issues you may have. Euphoria is a heady oriental fragrance full of exotic fruits, seductive flowers with rich creamy signature. The flacon design of Euphorie was inspired by orchids in bloom. heart: black orchid, lotus flower, Champacca flower.